Long-range precision shooting is super popular, and you can spend a fortune getting into it. Or not. The new Mossberg MVP Precision carries a suggested retail price of only $1,400—and since that’s suggested retail you’re likely going to find it for less. It’s inexpensive for sure, but don’t confuse inexpensive with cheap. 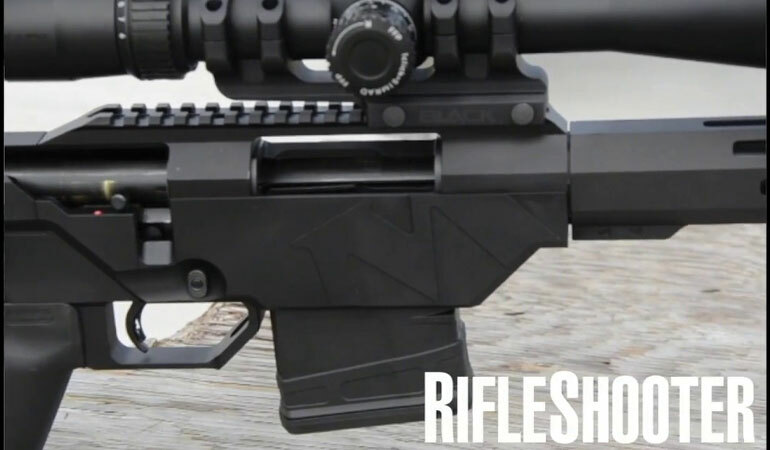 This rifle punches well above its weight class when it comes to accuracy. If you’re not up to speed on the MVP, it boasts some ingenious engineering that permits this bolt action to use AR magazines. AR mags are everywhere, and they’re available at a wide range of prices, so this feature alone gives you a lot of options. The gun ships with a 10-round PMag from Magpul. My sample, chambered in 6.5 Creedmoor (it’s also available in .308 Win. ), has a 24-inch barrel, and while it’s threaded, it doesn’t come with a muzzle device. I think this was a wise move on Mossberg’s part. Most shooters, even beginners, have a preference for a certain suppressor or muzzle brake, and by not including one, Mossberg is able to offer the rifle for a low price. With the money you save, you can pick up the muzzle device of your choice. The chassis is matte hard anodized, and the slim fore-end features M-Lok slots. Mossberg doesn’t provide a rail section, which you’ll need in order to mount a bipod, but M-Lok rail sections are available everywhere for a song. It’s got a great stock, made by Luth-AR. Both comb height and length of pull are adjustable, and, in another piece of cool engineering, the buttstock is easily removed for cleaning and transport or storage. I had it adjusted in no time, and it was solid as a rock and comfortable to shoot. The grip is a Magpul MOE+. The bolt is scalloped, and I’m on the fence as to whether I like it or not, but there’s no arguing about the action, which runs smooth as silk. And of course it features Mossberg’s excellent Lightning Bolt Action trigger, which is adjustable and breaks crisply. I shot several types of ammo through the rifle, and most were sub m.o.a.—and those that weren’t came in just over one m.o.a. It was a joy to shoot, and I was able to get hits on steel out to 800 yards with no problems. If I’d had a spotter with me, I’m sure I could’ve made those 1,000-yard targets sing. If you’re in the market for a long-range rifle and don’t want to take out a second mortgage to get started, the Mossberg Precision MVP is definitely worth checking out.